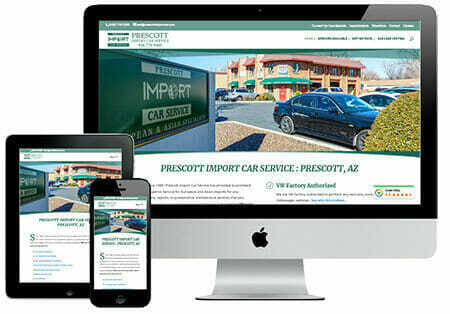 Prescott Import Car Service is a well established auto repair and service company in Prescott, and needed a website and website rankings to coincide. 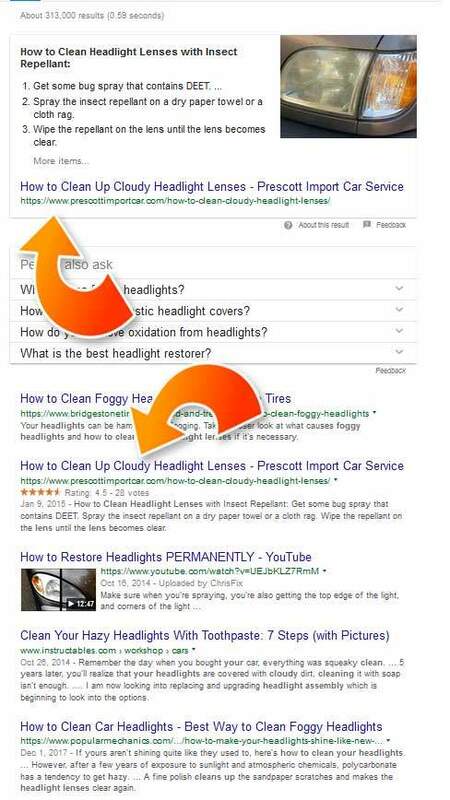 The Challenge: To stand out from the pack when a potential customer searched Google for related keyterms. 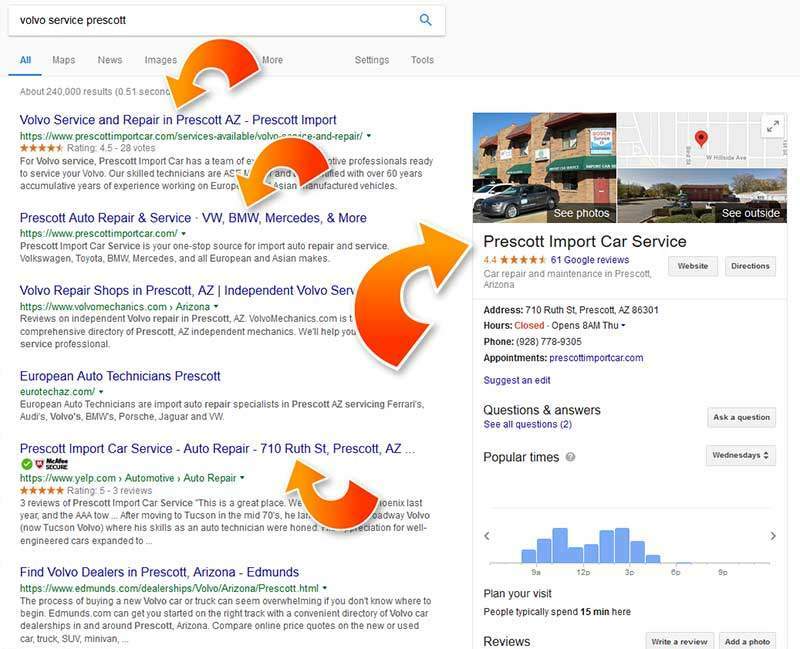 In an area with perhaps a hundred or more car repair and service establishments, we needed to come out on top in the Google SERPs (Search Engine Result Pages). The Solution: A focused and ongoing marketing initiative that includes many aspects of internet marketing. We have harnessed reviews, social media, CPC, and organic search engine optimization. The Result: Client holds first place organic rankings for almost every keyterm related to the business. Although the client serves a local market, we still see over 14,000 unique visitors to the site each month. Website redesign to reflect client’s high end brand and clientele. Organic search engine optimization so that web pages rank high and customers can find the business. Assistance in aquiring reviews from real customers in Google, Yelp, and other sites. Ongoing content writing and new content creation. Design and print of postcards, flyers, and business cards. Creation and management of social media pages such as Facebook and Google Business. Advertising campaigns created, managed, and results reported for Google and Facebook. Website security monitoring, 24/7 support, hosting and email management, on-site training and marketing strategy meetings. Not limited to local SEO, this page ranks nationally and accounts for thousands of visitors each month. Ranks #1 and #3 out of over 313,000 possible results. 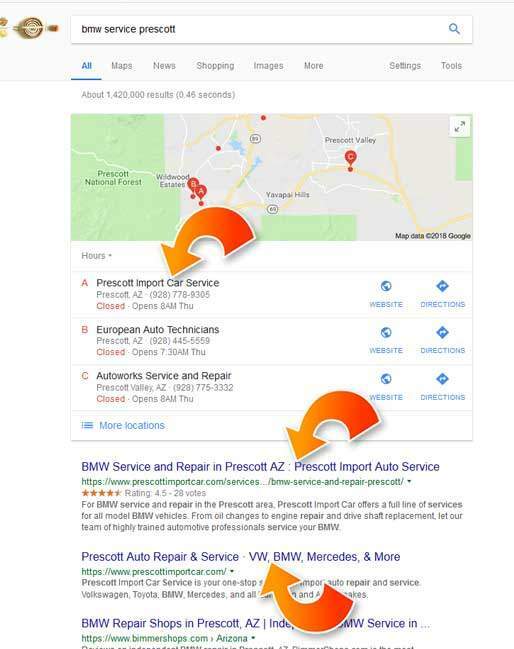 Google uses client’s page as the top “how to” answer. Client shows in four locations in top half of the page. Website ranks #1 and #2 out of 240,000 results. 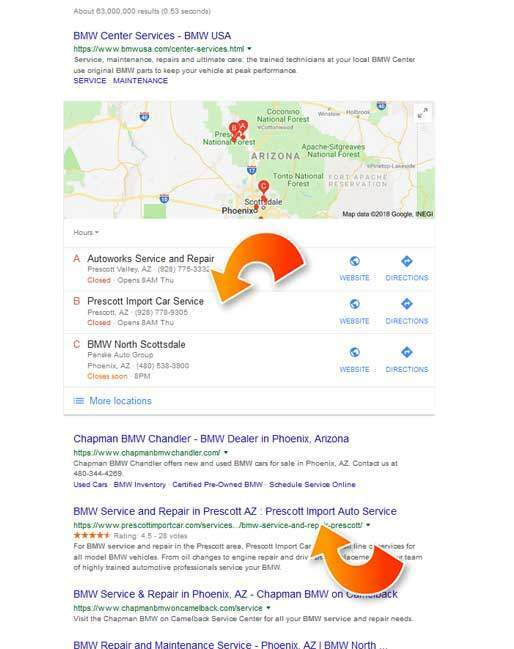 This same type of result happens for most other searches on vehicle makes that client services. 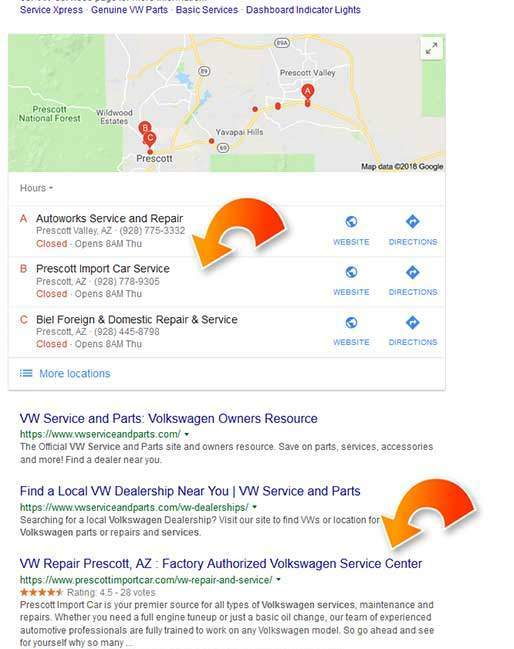 Client’s business shows on top of the SERPs for local mapped results. 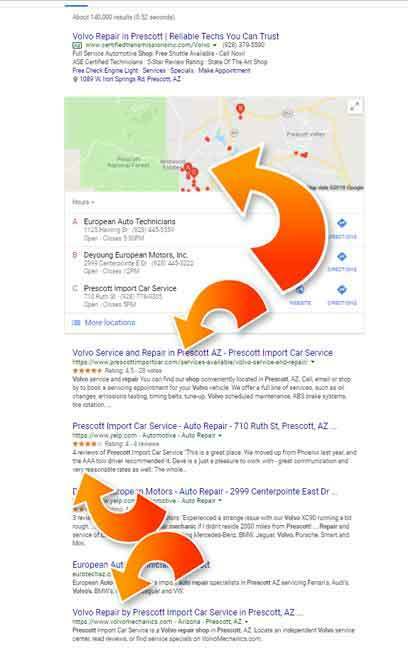 Client also is the first local shop to rank in the SERPs below the local rankings. Client shows in 4 locations on the first page. Client shows in three spots above the fold on the first page. Owns top two organic SERP rankings.